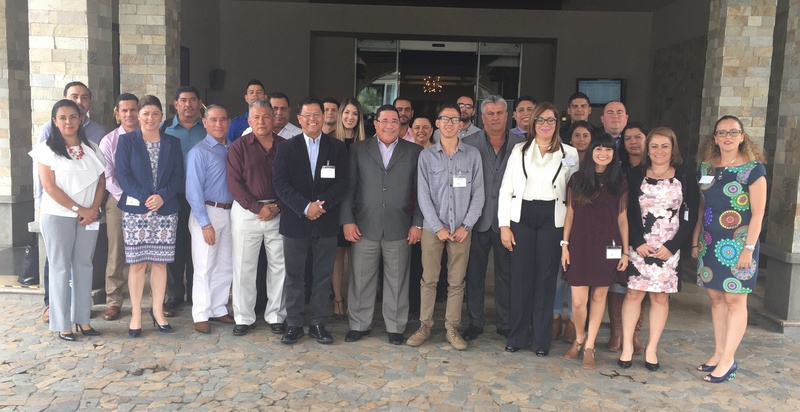 The Climate and Clean Air Coalition's Municipal Solid Waste Initiative, supported by CEGESTI, held an invite-only workshop on reducing short-lived climate pollutants (SLCPs) from the solid waste sector in the Central American region. This event took place at the Wyndham Hotel in San Jose, Costa Rica, on May 10 and 11, 2017. The objective of this activity was to launch the regional community of learning during a capacity building training with the participation of key stakeholders. The event included technical trainings on organic waste, as well as shared experiences from stakeholders of the region. Details of the network management and functions were also discussed, as well as the inputs of the content that will be created for the community of learning. The launch was attended by representatives of cities, municipal associations and national governments of Costa Rica, Belize, Dominican Republic, El Salvador, Guatemala, Honduras, and Panama.